Short on words today, so I'm going to let the charts do the talking, with a focus on the near-term. Right now, I'm not sold on this being anything other than a retracement rally in a down trend. In this update, I'll outline the levels which could change that. Second up is the SPX (if I had more time, I'd do seven charts, just so that I could get to "Seventh Up" -- crisp and clean and no caffeine.). Note the ending diagonal, if it is such, could already be complete. 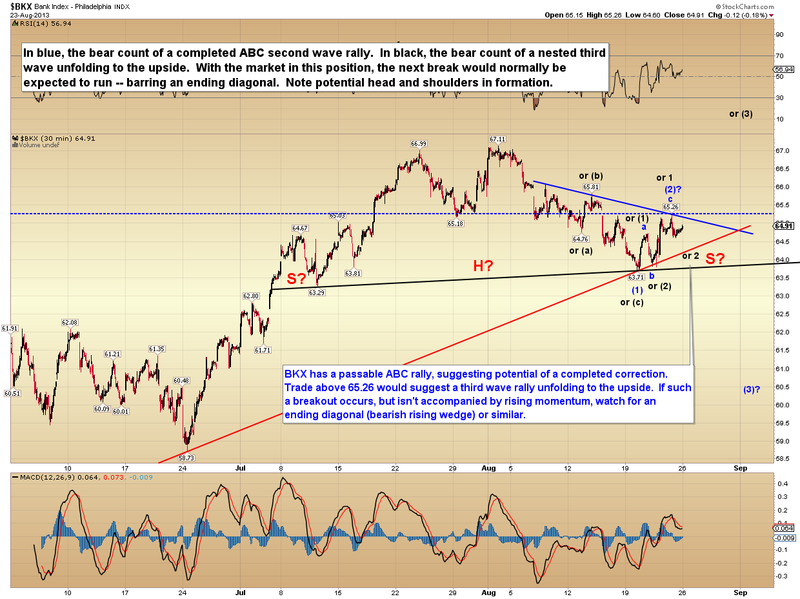 Note SPX is still facing further overhead resistance. The possible wave counts line up nicely with the potential base. 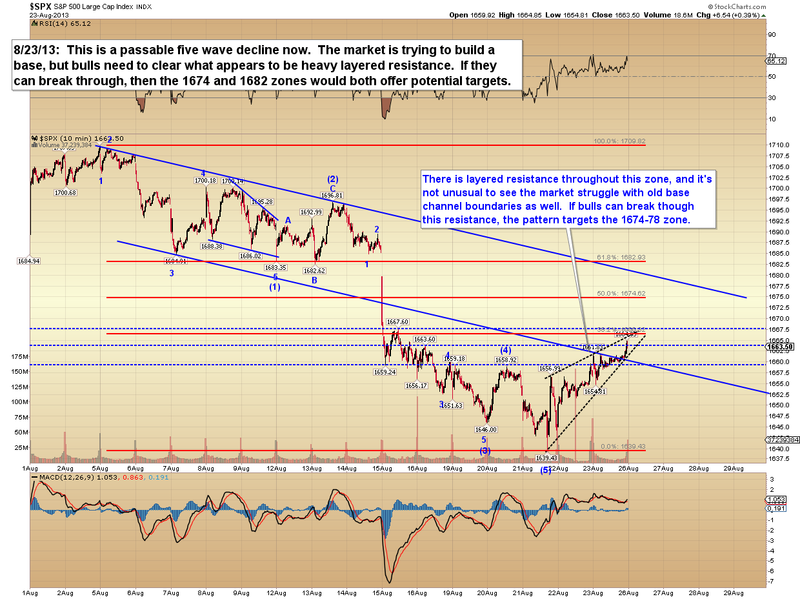 A sustained breakout would lead to a strong third wave rally. But, and this is a big "but" (get your mind out of the gutter! 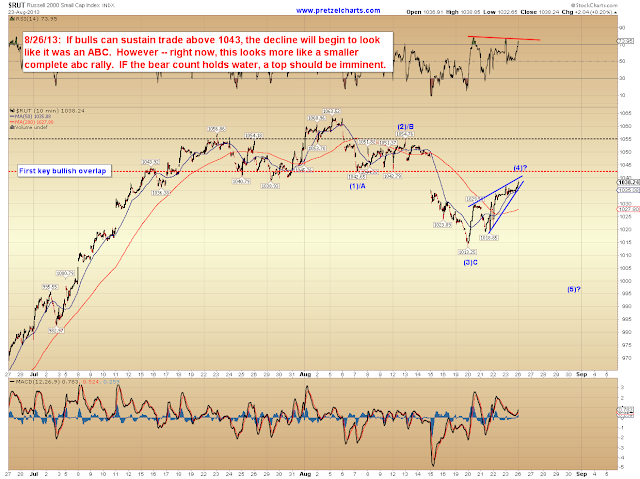 ), we should never simply assume the market WILL break out over resistance. 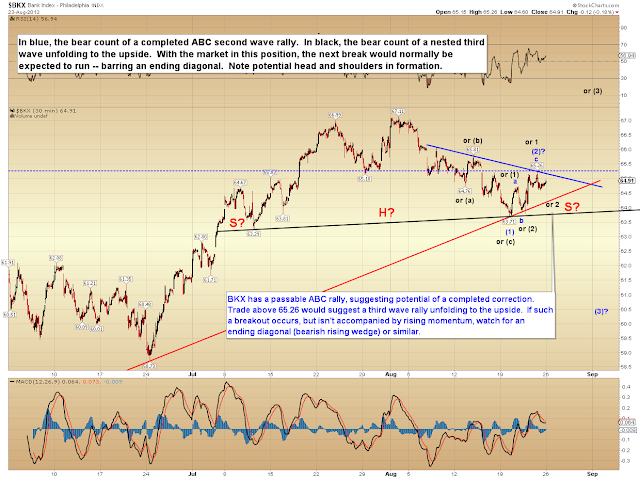 If the market has become a bear, then basing patterns like this will consistently fail. 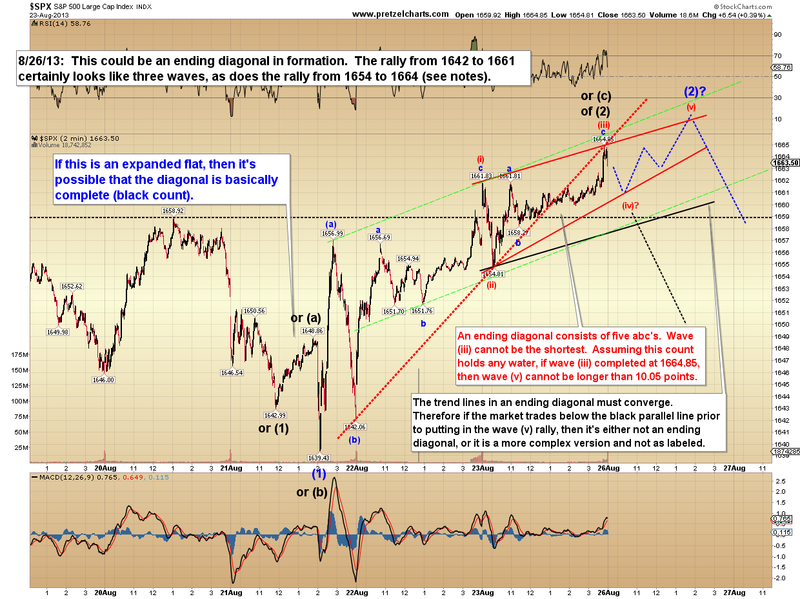 Third up is the BKX (Philadelphia Bank Index). On this chart, I've highlighted the "obvious" bull option in black. In conclusion, thus far the rally appears corrective -- so if the bears are still in control, the rally is probably quite close to completion. 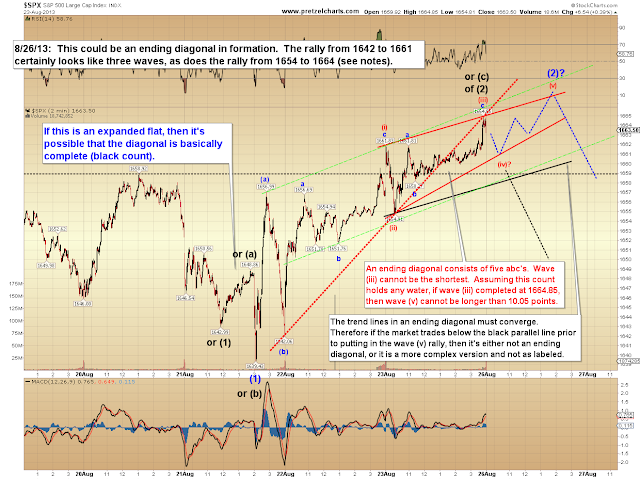 As noted on BKX, though, bulls may simply be winding up for a nested third wave rally. Nevertheless, at the moment, based on the "look" of the charts, I'm inclined to give bears the edge. Trade safe.